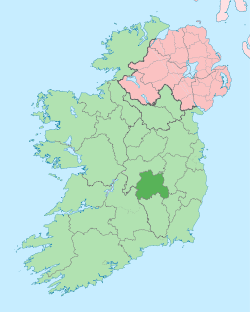 County Laois ( ; Irish: Contae Laoise) is a county in Ireland. 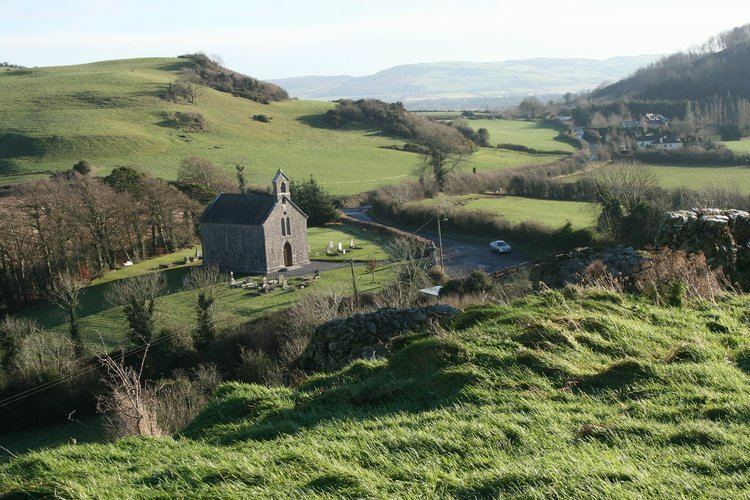 It is located in the south of the Midlands Region and is also located in the province of Leinster, and was formerly known as Queen's County. The modern county takes its name from Loígis, a medieval kingdom. Loígis was the subject of two Plantations or colonisations by a mix of Scottish and English settlers. The first occurred in 1556, when Thomas Radclyffe, 3rd Earl of Sussex dispossessed the O'Moore clan and attempted to replace them with Scottish and English settlers. However, this only led to a long drawn-out guerilla war in the county and left a small Scottish and English community clustered around garrisons. There was a more successful plantation in the county in the 17th century, which expanded the existing Scottish and English settlement with more landowners and tenants from both Scotland and England. Neither plantation was fully successful due to a lack of tenants and because of continuous raids and attacks by the O'Moores. In the Irish national parliament, Dáil Éireann, Laois is traditionally included in the Laois–Offaly constituency. However, for one election, in 2016, Laois had its own 3 seater constituency (which included six electoral divisions from Kildare South). A Constituency Commission was set up in 2016 to act on the full results of the most recent Census. One of its key recommendations is that the Laois-Offaly become a five-seater again. Local matters are dealt with by Laois County Council which elects 25 members. For the purpose of elections it is divided into three local electoral areas: Borris-in-Ossory-Mountmellick Municipal District (6), Portlaoise Municipal District (7), Graiguecullen-Portarlington Municipal District (6). 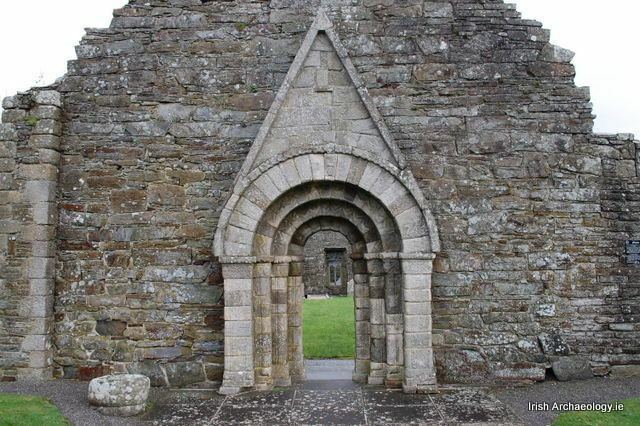 Laois historically supported Fianna Fáil party in Irish elections. However, in the Irish general election, 2016 and Irish local elections, 2014, there was a sharp swing to Fine Gael and Sinn Féin. Due to major local government reform implemented by Minister Phil Hogan town councils in Mountmellick and Portlaoise are now abolished. Also there are now 19 seats in the new Laois council with 3 electoral areas: Portlaoise - Abbeyleix (7 seats), Borris-in-Ossory - Mountmellick (6 seats) and Portarlington - Graigecullen (6 seats). The results in the 2014 local election were 7 Fianna Fáil, 6 Fine Gael, 2 Sinn Féin, 1 Labour and 3 Independents. Labour's success in Portlaoise is notable as it was their first victory in the town for 50 years. As of the 2011 census, ethnically Laois was 85% white Irish, 8% other white, 2% black, 1% Asian, 1% 'other', with 2% not stated. Over 1500 people work in the industrial sector in the county. Industrial parks are located in Portlaoise, Portarlington and Mountmellick. The county receives EU funding as it is part of the cluster of three regions (Border, Midland and West), colloquially known as "BMW", that qualifies for special funding aid. Agricultural activities occupy approximately 70% of the land area of the county (1,200 km2 or 460 sq mi). However agriculture's share of income in the "BMW" region has declined sharply in the past decade, and represented only approximately 3.9% of annual income (GVA) in 2005 Central Statistics Office. There are over 230,000 cattle in the county - three for every person. The remaining area includes considerable stretches of raised bog and the Slieve Bloom mountains, which are partially covered by coniferous forest. Iarnród Éireann train services along the Dublin-Cork line connects the county between Heuston station and Cork, Limerick, travel through the county, with railway stations at Portarlington, Portlaoise and Ballybrophy. From Portarlington trains run on the Dublin-Galway/Westport/Ballina line to Athlone as well as Galway, Westport and Ballina. From Ballybrophy trains run on the Ballybrophy line to Nenagh and Limerick direct. 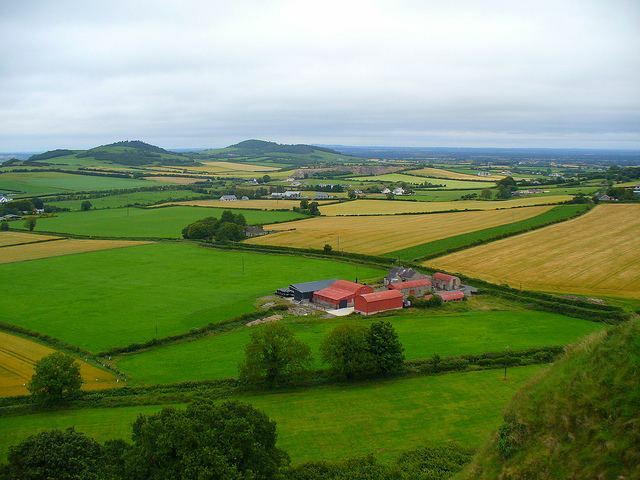 The M7 road runs through County Laois. This is one of the busiest roadways in Ireland connecting Dublin and Limerick and acts as a trunk route for the M8 which connects Cork to Dublin. The M8 joins the M7 to the south of Portlaoise. Road infrastructure has improved greatly in the county over the past decade. Most major interurban routes through Laois have now been upgraded to motorway standard. All major traffic bottlenecks in Laois such as Abbeyleix and Mountrath have been bypassed following the opening of the M7/M8 tolled motorway project in May 2010. Both towns were major intercity bottlenecks for motorists especially Abbeyleix where delays of up to 30 minutes or more were common. Zach Tuohy (1989-), professional Australian rules footballer, currently playing for Geelong Football Club. Damien Bowe, Singer and former member of Irish boyband D-Side. Anne Keenan-Buckley (1962-), middle distance runner who was on the Irish 1988 Summer Olympic team. Laois has a strong tradition of Gaelic games, enjoying success at both Gaelic football and hurling. Laois are one of few counties to contest an All-Ireland final in both Gaelic football and hurling. In recent times Laois have been more successful footballers than hurlers. Laois minors have had considerable success over the past two decades, and the Laois senior footballers reached the Leinster final in 2003 (victorious), 2004, and 2005. Laois hurlers currently compete in the Liam MacCarthy Cup, a competition reserved for the premiere hurling counties while the footballers compete in the Sam Maguire Cup. Laois play home games at O'Moore Park, the county's largest sporting venue, which is often used for hurling Championship games because of its central location. In Rugby football, Portlaoise RFC and Portarlington RFC compete in Division 2A of the Leinster League.